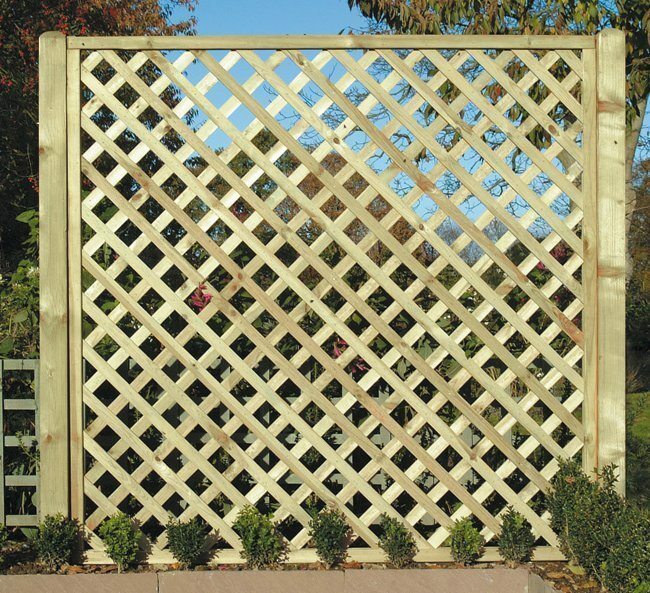 Our Diamond Lattice panels have a more contemporary style. The battens have a smooth planed finish and the edges are nicely rounded. 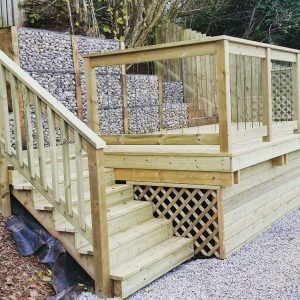 The battens are arranged in a diamond pattern and secured within a nicely rebated planed edging. 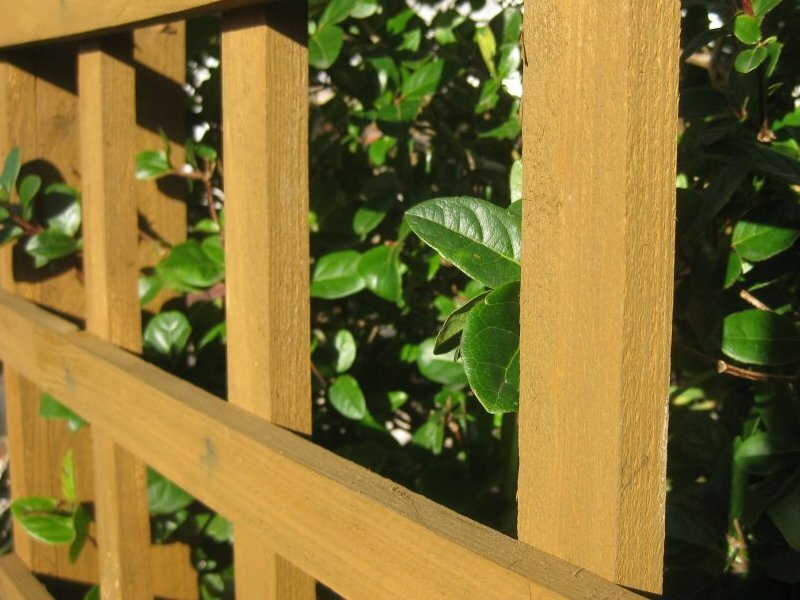 Sawn trellis uses sawn battens which are regularised but not as smooth. Edges are more square and the battens are arranged in a square design. Both products are manufactured in Poland. 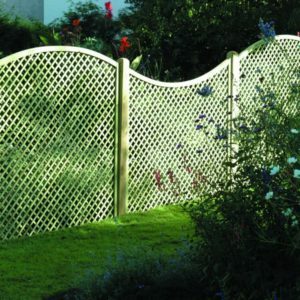 We carry a range of these Lattice panels. Most of these are rectangular or square, but we also have three convex and one concave option. 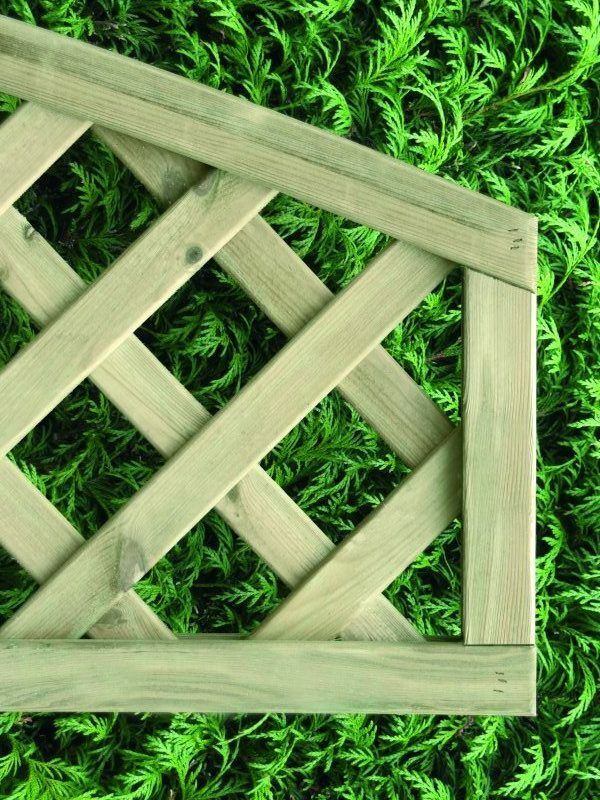 All our diamond lattice panels are manufactured from pressure-treated timber to improve the service life of the product. 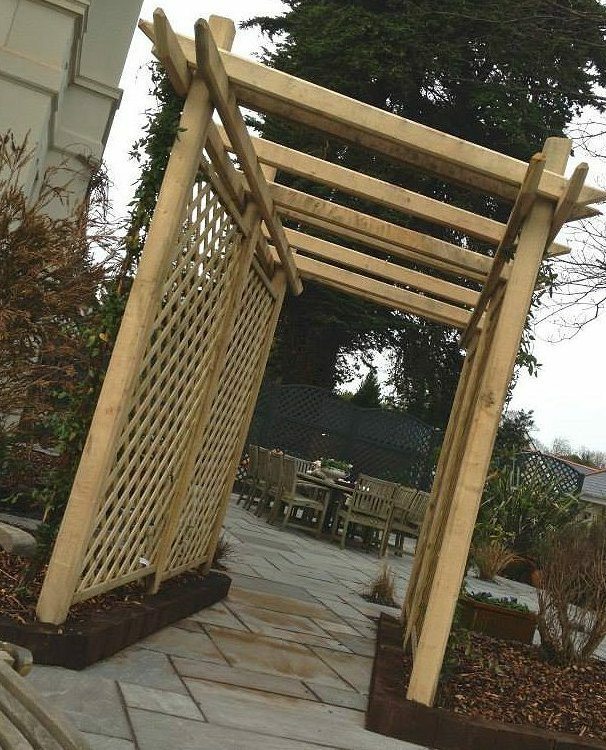 The lattice strips are framed and sturdy enough to use as panels within the garden. 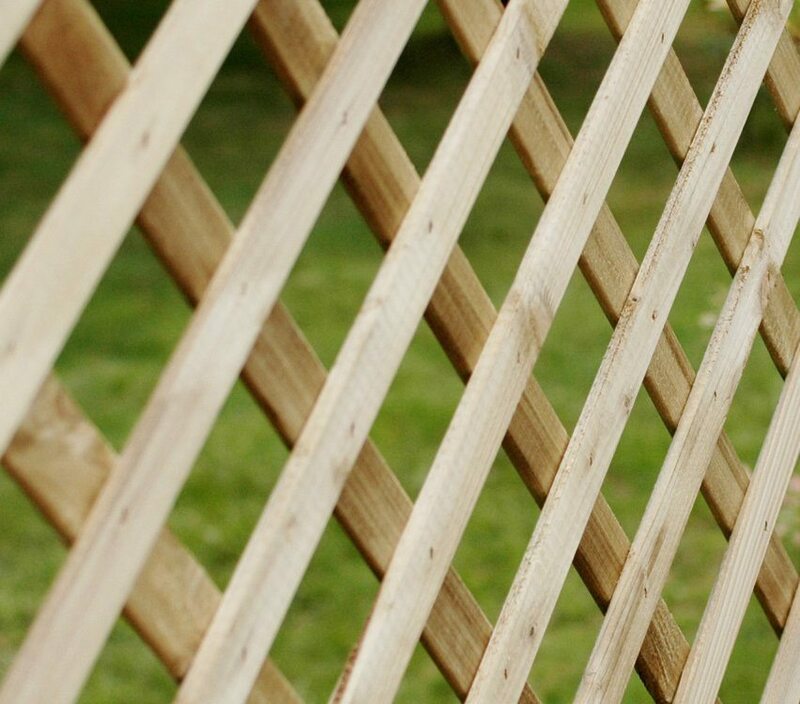 The batten spacing on the battens in these panels means the square holes are approximately 65mm. 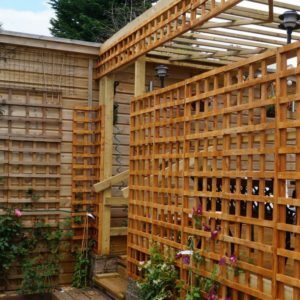 When these lattice panels are used with our HD Lap Panels you would need to use some battens, or planed fillet, to bring the width up to 1.83 metres. We can also offer one convex and three concave panels.